A couple of weeks ago, I ran out of my favorite waterproof mascara and I had to rush out and purchase a new one. After debating weather of not to get the waterproof or normal one, I snatched another one not noticing the colour and purchased a Brown one. Thankfully went back the next day and since it was packaged in plastic I asked if it was possible to return it and swap it for the right shade Black of course and thankfully she accepted the swap. 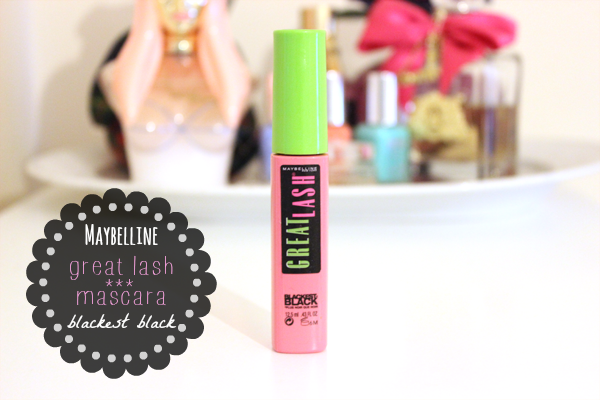 Maybelline Great Lash in Blackest Black £4.99 was the one I went for. Why? I have seen it in numerous vlogs,blog posts and videos that I just wanted to try it for myself and don't get me started on the cute neon green and pink packaging! I love the concept of the mascara It's eye-catching and easily found in any drawer or makeup bag as it isn't a typical black mascara.How would I describe this mascara in less words, NO CLUMPS nothing what's so ever. I seriously am in love with this mascara, no clumps and coats the lashes in the blackest black liquid. Someone I will note is I got used to Waterproof mascaras because since waterproof mascaras are wax based and stronger, when curl ed using a lash curler beforehand, tends to make them last longer where as when curled with normal mascara it doesn't last as long and drops down. This mascara gives the lashes a more defined natural effect which is so kind to the face and not as harsh as those clumpy mascaras some tend to love. I use two coats of this mascara and a little bit of eyeliner and i'm good to go in the morning. I get fantastic results and no reactions to the product what so ever. The wand isn't as bendy as some other mascaras that i've tried but I still manage to get right into the inner corner to coat the inner lashes without smudging the area. Overall, If you are looking for a natural defined lashes without the falsies I would definitely go for this mascara. The wand isn't flimsy and you can coat every little lash that you want. Will definitely be repurchasing. WHAT ARE YOU FAVORITE PIECES AT THE MOMENT? ANY CURRENT FAVORITES ON YOUR WISHLIST? SHARE AND LET ME KNOW IN THE COMMENTS BELOW! 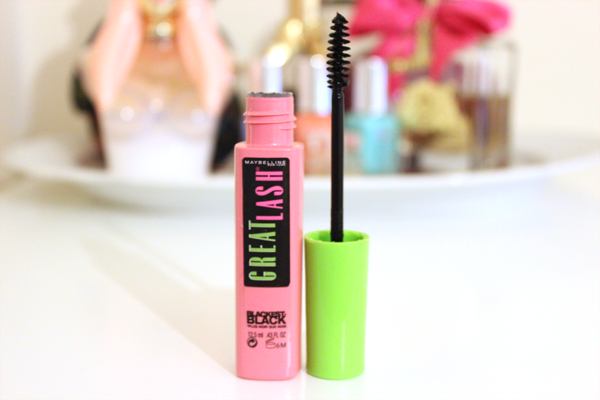 I love the Great Lash clear mascara as a brow gel! Works amazing to keep my brows in check!